I had a life changing moment the other day when I was informed that on Thursday nights at Boston Pizza you can order any large pizza for 15 bucks! ANYTHING!!! 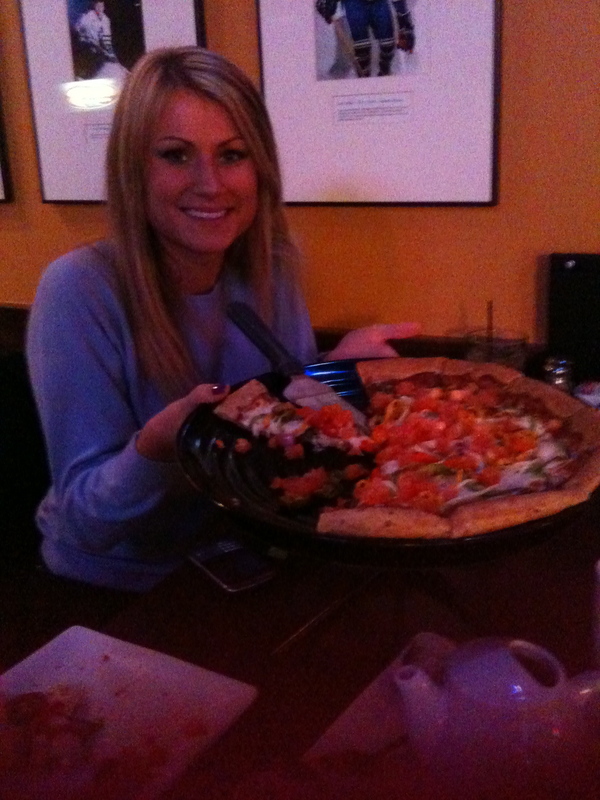 Last thursday i decided to embrace this new information and hit Boston Pizza up. It was awesome, but there was one problem, how the heck do i decide which pizza I want??? I can have anything I want on it, where do I even start? I decided to take the healthy route since I intended on eating quite a bit of pizza, so i ordered the vegetarian on whole wheat crust and it was incredible. I am not typically a fan of chain restaurants, but that was some good pizza! The best part of it all is that it was a $30 pizza and I got it for half price. Needless to say I will be going back on Thursdays to get me some more pizza! ← Puppies need friends too!